Bing Liu was selected as the conference co-chair for the 2018 American Council for an Energy-Efficient Economy (ACEEE) Summer Study on Energy Efficiency in Buildings. The Summer Study draws a diverse group of professionals from around the world—including a large contingent of PNNL researchers—to discuss building energy use and actions to reduce climate impacts. Held biennially, the meeting "enables sharing of ideas and dialog among leading thinkers, visionaries, and luminaries in the field." The Summer Study will be held August 12-17, 2018 in Pacific Grove, CA. 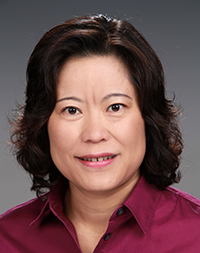 Liu’s responsibilities as co-chair include developing the conference theme, working with ACEEE staff to select technical panels, selecting plenary speakers, publicizing the call for papers and registration, and developing the conference program guide and proceedings with ACEEE staff and panel leaders. "Chairing the ACEEE Summer Study provides a unique opportunity to influence the conference theme and topic areas," said Liu. "I am looking forward to working with my co-chair and ACEEE staff to develop an excellent conference that will attract researchers who will share their bright ideas and actionable practices in advancing building and community energy efficiency." Liu leads PNNL's Building Energy Regulatory Analysis group. She is also a program manager, directing PNNL work supporting the U.S. DOE's Building Energy Codes Program. She is a registered professional mechanical engineer, a certified energy manager, and a Leadership in Energy and Environmental Design accredited professional. Liu earned her Master’s degree in Thermal Energy from Tianjin University in China.